Michael Bouras is an integral client advisor for Matthews Multifamily Advisors™, a division of Matthews Real Estate Investment Services™. He specialized in advisory consulting, and the disposition and acquisition of multifamily income properties, specifically, assets located in Orange County. Michael leverages his deep-seated understanding of the local real estate market to provide the highest level of advisory to his clients. 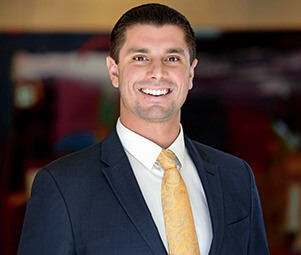 Paired with his unrelenting work ethic, Michael prides himself on exceeding his client’s expectations and meeting their long-term financial goals.